Jonny produced yet another powerful performance in Lincolnshire to pick up a well deserved victory. 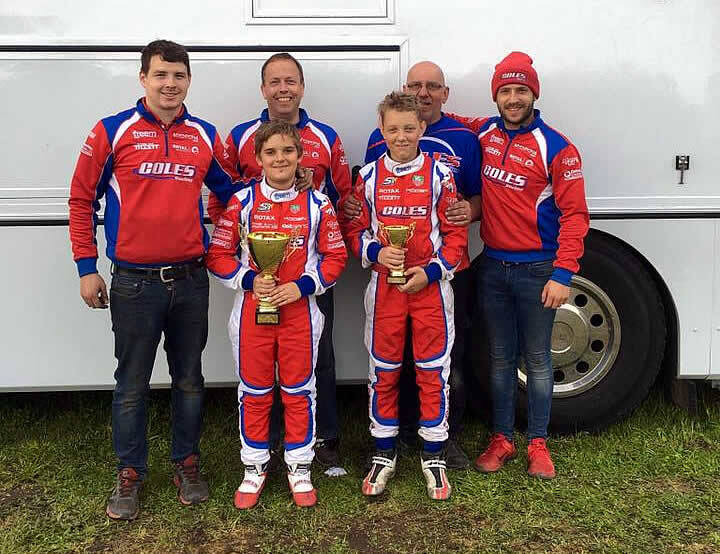 The Fulbeck circuit has been staging kart events for almost 57 years and enjoys a great tradition in the sport. 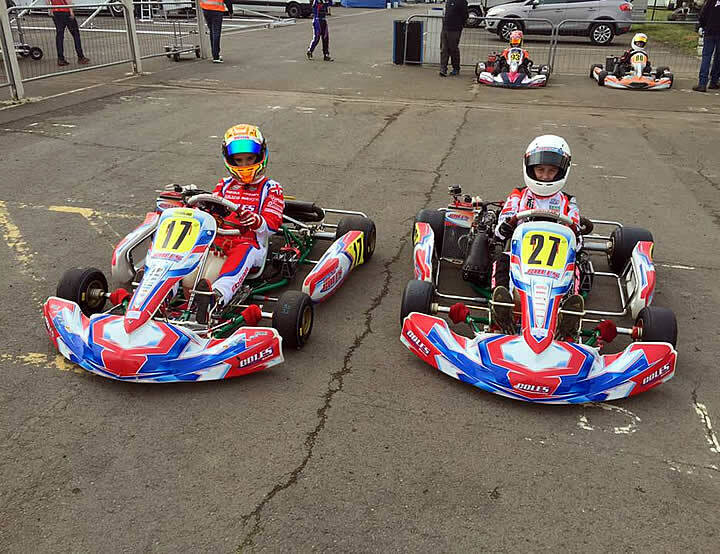 On this occasion it was playing host to the NKF and, with a Super 1 round taking place here next month, all of the top Mini-max drivers had turned out. No less than 32 contenders lined up for the Final, with Jonny setting off on pole after three very good Heats. He’d finished 2nd in the first one after starting from grid 18. This was followed by a comfortable win next time out and he did well to finish 10th in the last one after starting from 28th position. He led the final from start to finish, although Lewis Gilbertson followed close behind for most of this race. However, Jonny remained unfazed and, on a hot afternoon, he kept his cool throughout the race. 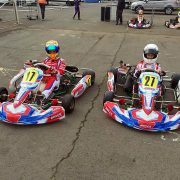 Last year’s British Champion in cadets, Dexter Patterson took 3rd spot, with Clayton Ravenscroft 4th.